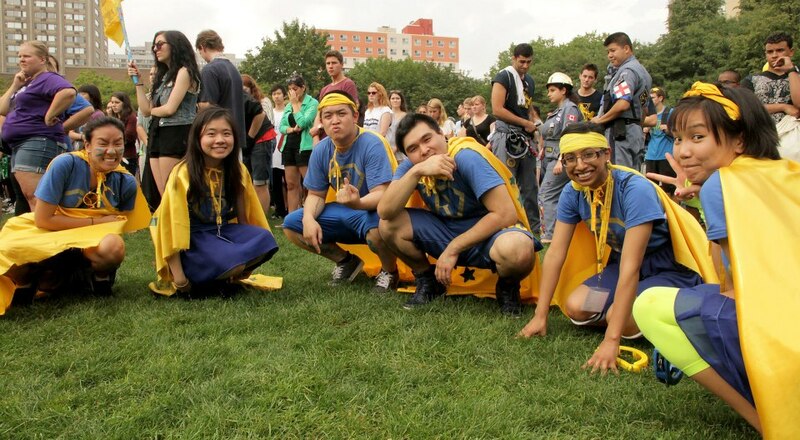 The Orientation Team is still accepting applications from students who want to be Ryerson Orientation Crew members (aka ROCS). We’re looking for enthusiastic students who bleed blue and gold, aren’t afraid to get loud and most importantly, know how to have a good time. Does this sound like you? Then send us an email at orientation@ryerson.ca. Still not convinced? Read on for the top seven reasons why you should be a ROC. You know the cleanest and quietest washrooms on campus, which classes to take and which to avoid and how to save on everything from lunch to textbooks. This is vital knowledge for any student who wants to have a successful career at Ryerson. Don’t let another poor first year spend $120 on a book they could have got used for half the price. University life is stressful, be that person who made someone else’s a little easier. You think campus is busy during the school year? Small potatoes, my friend. Imagine thousands of students filling the quad and Gould St. for five straight days, and you in the middle of it. 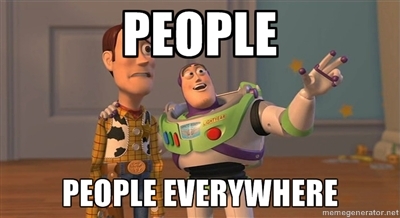 It’s pretty much impossible not to meet people at orientation. You’ll be constantly connecting with new students, fellow ROCS, Ryerson Students’ Union executives, not to mention some pretty powerful people who make appearances, such as Ryerson President and Vice Chancellor Sheldon Levy. Did someone help ease your transition into university? Then you know how good it felt when someone reached out to you, so be that person for a new student. Or maybe you had a tough time because nobody made the effort to connect with you. It’s now up to you to be that person who will be there for the student missing a helping hand. There’s always someone struggling with coming to a new school, and you can make a difference. The first six weeks at university are the most difficult for new students, and we want to do anything we can to make them easier. Orientation is the first step. Remember all those students I promised you’d meet? Well they’re your gateway into becoming involved in and connected to Ryerson in ways you’ve always wanted. Our ROCS are often heavily involved around campus and they can open many doors for you. One could be the president of a club you’re really interested in, or someone might need one more person for their intramural dodgeball team this year – a sport that you just happen to be a master of. You might not get these chances without orientation, so put yourself out there! The beauty about orientation is that no matter what kind of person you are, or how involved you want to get, we have a position for you! Do you never run out of energy? Do people often think you’re insane? Then dress up in a cape for the week and be part of the spirit squad! Or maybe you’re more into organizing events and making sure everything runs smoothly. If so, operations is the position for you! If you want to be in charge of a group of students throughout the week, pumping them up for each event and getting them excited to be a part of Ryerson, then you should be a leader. Tell us what position you want and we’ll do our best to make it happen! You know that spot on your resume that proudly displays those 40 hours of volunteering you did in high school? Well, we can help you make that section a little more relevant. 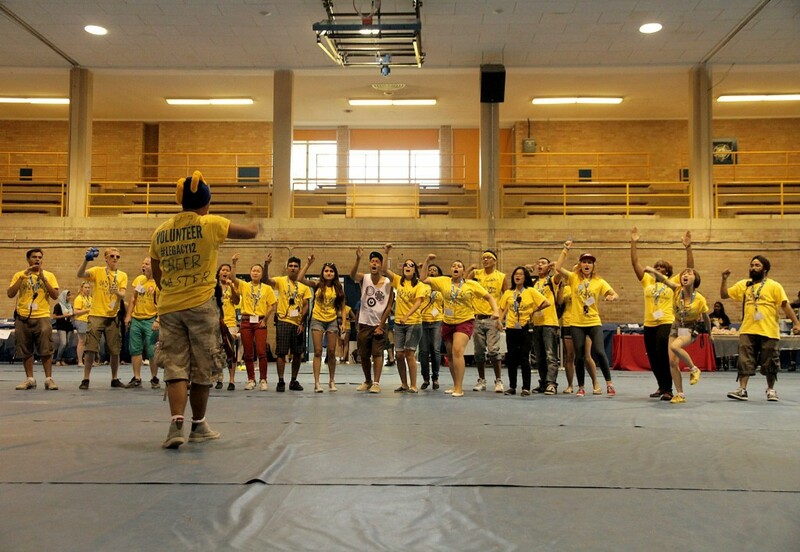 At orientation you will be gaining leadership, organizational and communication skills, along with many more. This year, you can track your volunteering throughout the week with our new Passport program. At the end of the week, you’ll be able to get a hard copy stating your hours. Plus volunteering at your school is something employers love to see. Can you really think of a better way to end the summer than a week dedicated to cheering, dancing, meeting new people and generally going crazy? You probably want to let loose before you have to hit the books for another year, and orientation is the perfect place to do so. 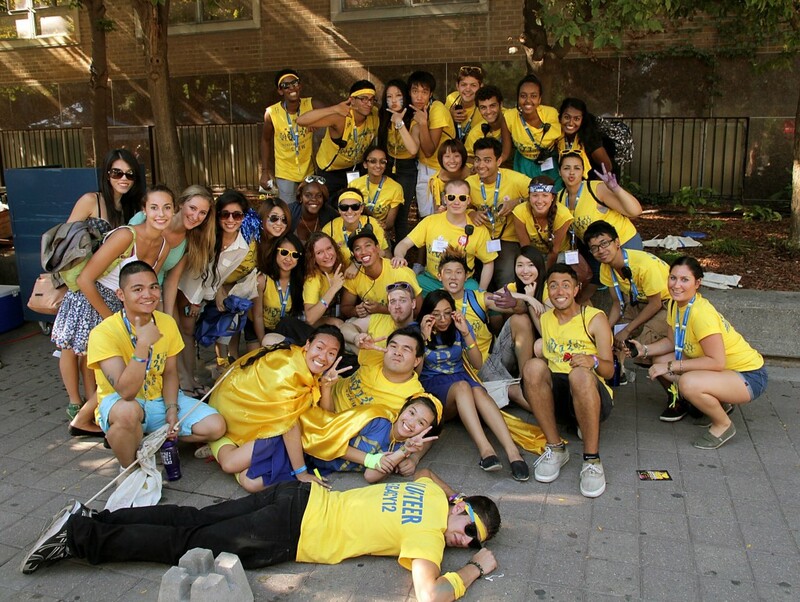 If you’d like to apply to be a ROC, send an email to orientation@ryerson.ca. We’d love to have you aboard! Previous ArticleIt’s That Time of Year: Convocation at RyersonNext ArticleWe want YOU!